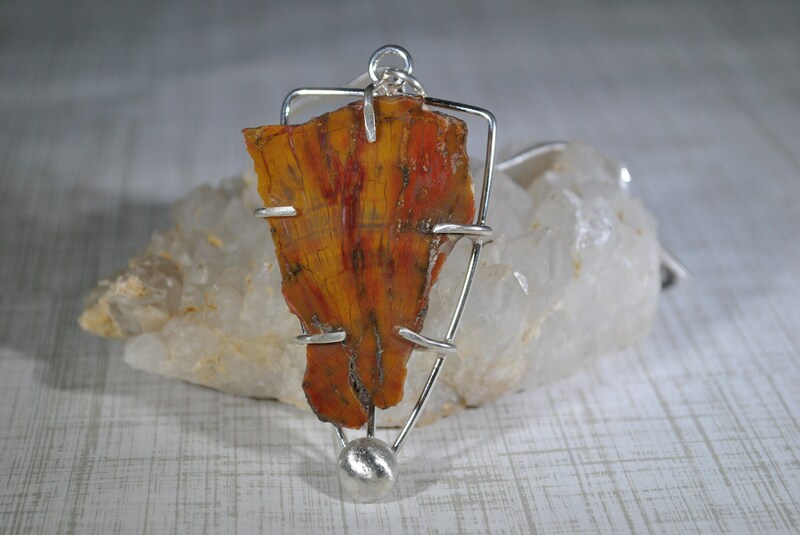 Petrified wood stone is handcrafted in a minimalist sterling silver wire setting. 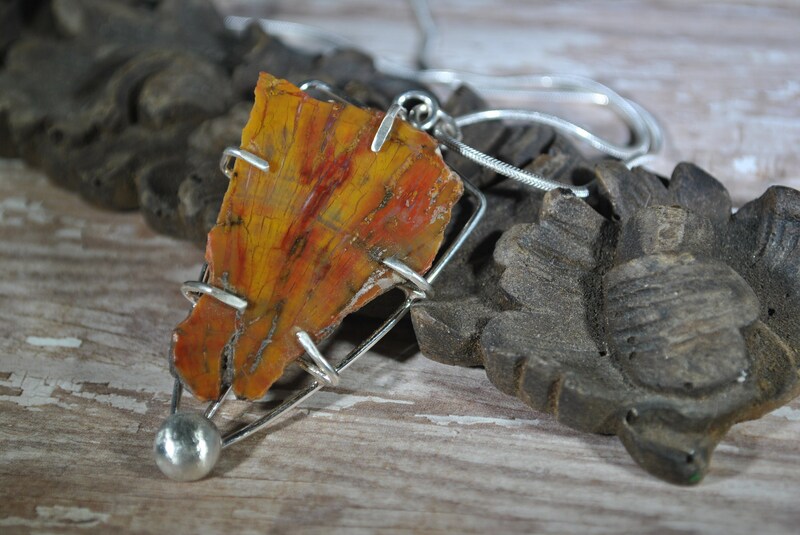 A truly unique and one of a kind piece showcasing the gorgeous colors of the stone accented by a sterling silver disk. 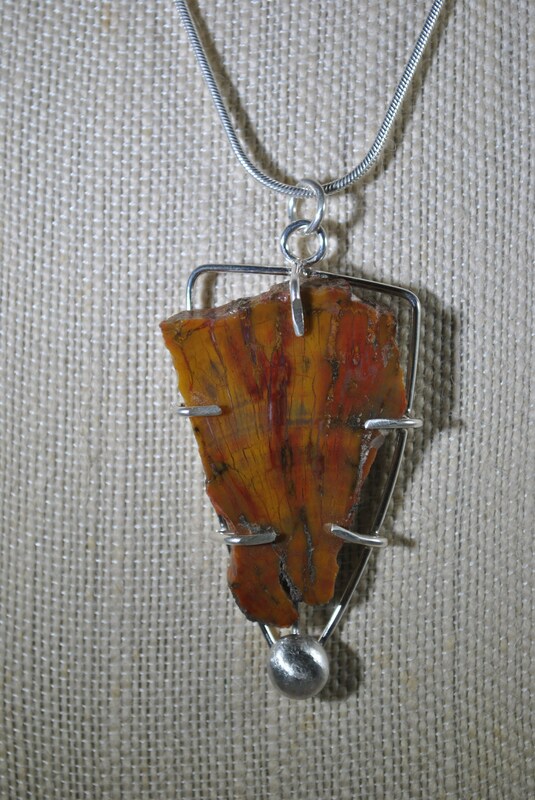 A conversation piece which will draw many compliments. 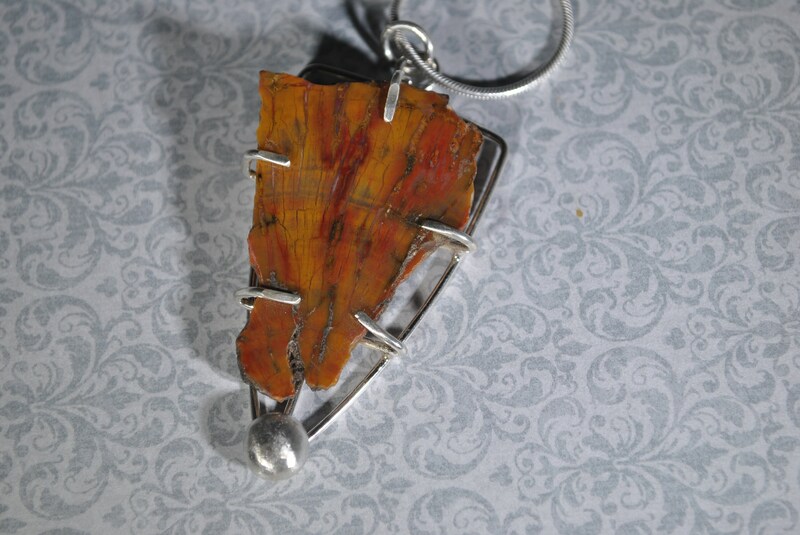 This fossil stone was collected in Arizona.